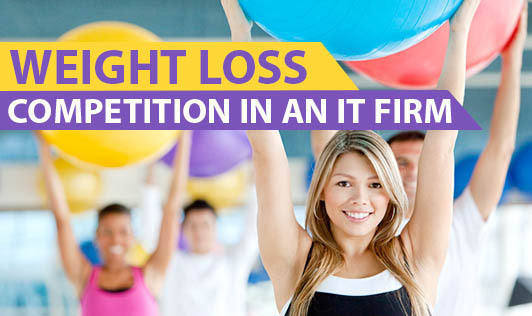 An enthusiastic and motivated group of people working in an IT company in Bangalore have started a weight loss competition. Participation in this competition, which lasts for 10-12 weeks, is purely voluntary and open to the company employees only. At the beginning of the competition, all participants are weighed and their weights recorded. Thereafter, body weight of each participant is taken on Fridays and entered in a spreadsheet. They also share information on weight loss methods and sometimes get an expert to speak to the group on how to knock off the excess weight. At the end of 12 weeks, the person who loses the maximum weight walks away with 60% of the goodies, the first runner-up gets 30% and the second runner-up gets 10% of the share. The first round of this program saw 22 participants. The winner lost 6 kg. The collective weight loss was 33 kg. With the program gaining popularity, the second round of this weight loss competition has 41 participants vying to look the trimmest at the end of 12 weeks. I must say that this is a great way to get a person zestful towards weight loss and better health!